Two outbreaks of orf virus (ORFV) (a parapoxvirus) infection in goats, which occurred in Golaghat and Kamrup districts of Assam, a northeastern part of India, were investigated. 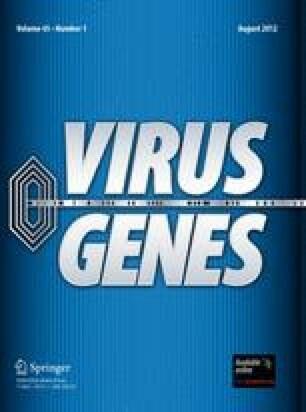 The disease was diagnosed by standard virological and molecular techniques. The entire protein-coding region of B2L gene of two isolates were cloned and sequenced. Phylogenetic analysis based on B2L amino acid sequences showed that the ORFVs identified in these outbreaks were closely related to each other and both were closer to ORFV-Shahjahanpur 82/04 isolate from north India. The present study revealed that the precise characterization of the genomic region (B2L gene) might provide evidence for the genetic variation and movement of circulating ORFV strains in India. The authors are thankful to the Director, Indian Veterinary Research Institute (IVRI), Izatnagar, and the Head, Division of Virology, IVRI, Mukteswar, Uttarakhand, for providing the necessary facilities. The authors thank the Head of Department, Microbiology, College of Veterinary Science, Khanapara, and field veterinarians for their kind cooperation in providing clinical samples, photographs, and epidemiological information of contagious ecthyma outbreaks.